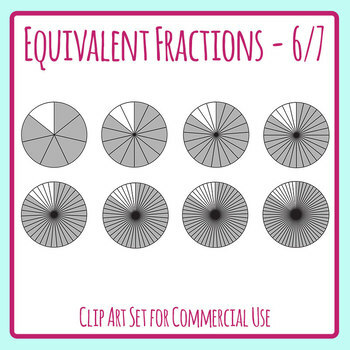 Equivalent Fractions Clipart Set - 8 pieces of clip art in a pack or bundle for your worksheets or educational resources. All images or pictures are high resolution so you can have large illustrations of them and they'll still be clean and beautiful. Images are in PNG format with a transparent background (there aren't white areas around the edge) so they can be dropped into your documents easily, and layered with text or other images. Pictures are licensed for any personal use and for commercial use in any educational product (or marketing materials for educational products). Credit is appreciated but not required. All images are copyright to me and are created by me and are not to be onsold or given away as clip art - if they're adding to your work that you are selling that's great, but you are not permitted to sell or distribute them as images or on their own. 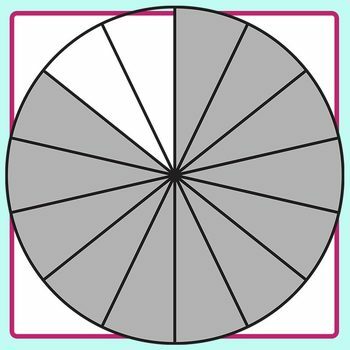 You are not permitted to create derivative works from them and sell them as images, but you may change them for use in your personal or educational commercial products (worksheets, units, etc.). Rating after downloading is very appreciated.